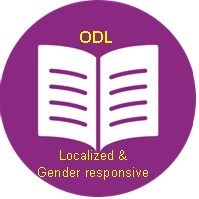 Contents in ODL – Are they contextualized and gender responsive? Technology use in ODL – What technologies are appropriate? Reaching the Hard2Reach Communities – How ODL can best fit? Webinar on ODL and Gender – What were Our Takeaways?